The scientific name for eucalyptus is Eucalyptus globulus. It is a tall evergreen tree with long, oval-shaped leaves. These leaves are covered with oil glands. The oil as well as the leaves from the eucalyptus tree have many uses. According to the University of Maryland Medical Center, eucalyptus is made up of tannins, flavonoids and volatile oils. These ingredients lend eucalyptus to being used as a medicine, a flea repellent, and even as a home deodorizer. Clean a glass jar and add 300 grams of fresh eucalyptus leaves. Fill the jar up with vodka, and set the jar aside for 2 weeks. Make sure you shake the jar once every other day. Strain the leaves out of the jar with a piece of cheesecloth. Discard the leaves and bits of leaves that are trapped by the cheesecloth. Mix 1 tsp. of your eucalyptus mixture with 1/2 cup of warm water. Gargle with the mixture from step 4 if you have a sore throat. Drink the mixture from step 4 if you are suffering either nasal or chest congestion. Pour 1 tsp. of the mixture from step 2 over your skin if you have a cut or sore. The eucalyptus leaves also have antibacterial properties. Take a few eucalyptus leaves off your tree. It is best to use them while they are fresh, when it comes to repelling fleas. Place several eucalyptus leaves under your dog's bedding. You can also set the leaves under your carpeting, or under any welcome mats you have near the entrance your dog uses to go outside. Rub a few of the eucalyptus leaves on your dog's collar. The oils will come off the leaves on to the collar to repel fleas while your dog is on the go. Purchase a few sachet potpourri bags. These work great for keeping the eucalyptus leaves contained, but allowing the scent to flow out of the bags. Break your eucalyptus leaves up in to smaller pieces so that they fit in your sachet bags. Put pieces of leaves in the bags until they are full. Set your eucalyptus sachet bags around your home where you need to deodorize. The bathroom, bedrooms and near your dirty hamper are great places to put the sachet bags. You can also add some eucalyptus leaves in a pot of boiling water and breathe in the steam. If you have kidney or liver problems you should not take eucalyptus in any form. You should also not use eucalyptus for medicinal purposes if you are pregnant. Children under the age of 6 should not eat eucalyptus leaves or drink their oil. 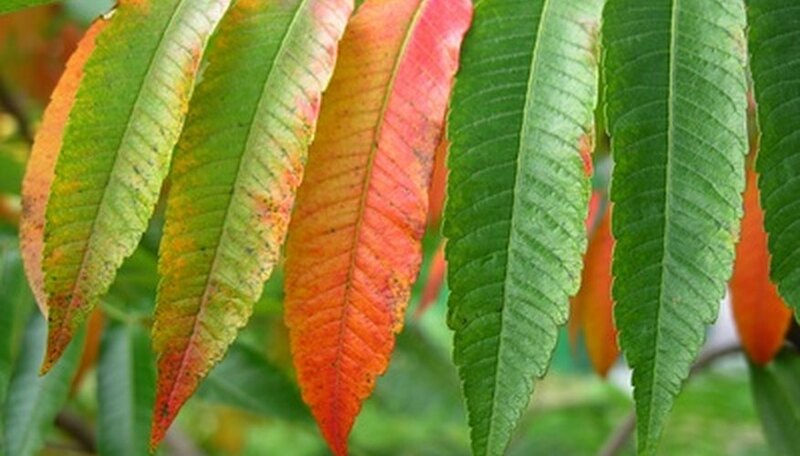 Can Tree Leaves Be Burned for Heating Fuel?